During the past couple of months I’ve had the opportunity to be a beta tester of hands down, the best online store builder app for Shopify. It streamlines the process of building and managing a Shopify store. It literally cuts down on all the time you’d spend on the tedious parts of ‘listing’ items and helps you get into profit FAST! But don’t just take my word for it… watch my video review below and I’ll show you how powerful this Shopify store builder app will be for your Shopify ecommerce business! • It is a completely user­ friendly Chrome Desktop Browser Extension that is Quick and Easy to use. You will enjoy how easily you can pull products from Ailexpress, Alibaba, Amazon and more places… and quickly put them on your store, ready to sell… with just the click of your mouse. This Shopify Store Builder App truly has it all! • This online store builder / management platform has a built in “ePack Identifier”. This is important because when you are scrolling through Aliexpress or Alibaba, you will see the ePack Identifier as you scroll over each product. This will undoubtedly save you a ton of time as you are search for products with the best shipping option to fill your store with. • You can organize items that you collect for your Shopify store using Pinterest style “Boards” with the click of your mouse. This really helps with your research as you may not want to use very last product that you collect… you may want to save one for later! And you can come back and edit it and add it to your store any time you want. • With one single click, you can add products to your Shopify Store straight from the Chrome browser.. this makes your life a breeze when building your store because it’s literally ‘pick & shovel’ work when you don’t have a smart tool like we have in this app. You can position yourself to make loads of money fast with your Shopify store and save valuable hours of your life in the process with this app. • This Shopify store builder has an Image Adding feature that will be the key to your success… it saves you so much time on the download and uploading of images, that thanks to this app you will never have to do again. Now you don’t need to understand code or how to work with images to run a successful ecommerce business! • Now if that all wasn’t good enough, I haven’t yet mentioned that this app will also help you manage all your incoming orders… and even has an auto and semi-auto order fulfillment feature that can save you some serious time! 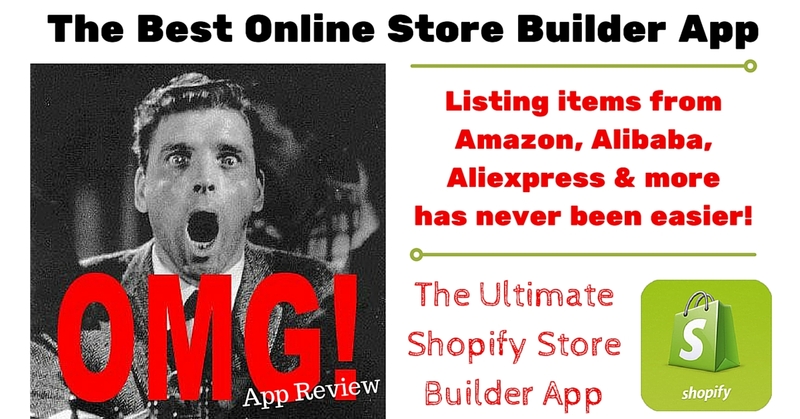 • And this Shopify Store Builder app’s management features are truly comprehensive with full order tracking and updates on price change or out of stock’s with your sources! Now… I have, to be honest. Some may say it’s too easy. Some may say I cheat a little bit using methods that are just so easy like this… ­ but hey, if it gets you the same results quicker, without hassling or hurting any people or animals in the process… then who cares, right? Guess what?! Since I personally know the developer of this app and have been working with him extensively on the beta testing of it… I managed to secure you a great deal so you can jump in and try it out for yourself risk free. Hello my friend! It's been a minute, but I thought you'd find this article very interesting so just forwarding the info along to you. The article is called Best Online Store Builder for Your Shopify Businessand is located athttps://www.meetcalebwright.com/drop-shipping/best-online-store-builder-for-shopify/. Let me know what you think!